Anyway for the uninitialized, there are many types of curries in Japan. 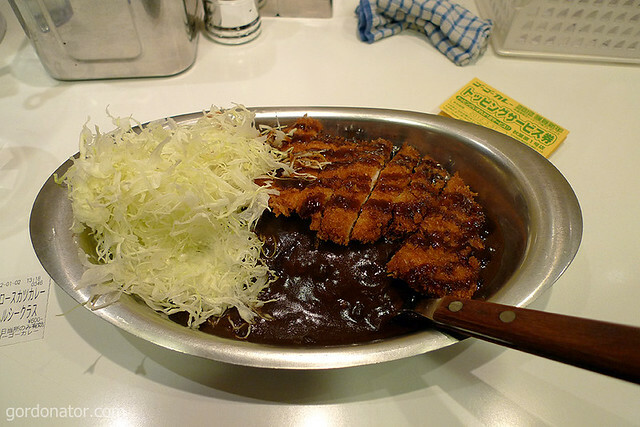 One of it is known as the Kanazawa curry, named after Kanazawa the capital city in Japan’s Ishikawa prefecture, which is the type of curry Go! Go! Curry! serves. Here’s a map on where Go! Go! Curry! is located. 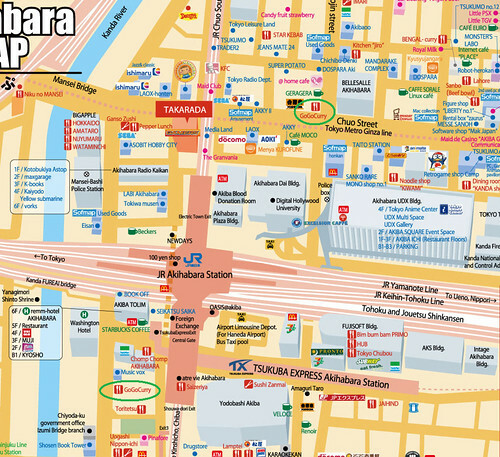 There are 2 stores in Akihabara as far as I know. 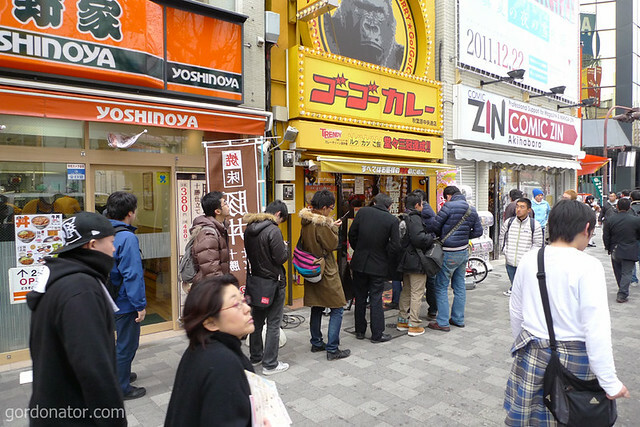 The one along the main street beside Yoshinoya s the easiest to find. For those in Singapore, we have 2 branches in ION Orchard and 313@Somerset and a newly opened one at Parco Marina Bay. Website here for more info. Seems like Go Go Curry! didn’t last long in Singapore unfortunately. Either the brand is mismanaged by the local distributor or the franchise rights expired. 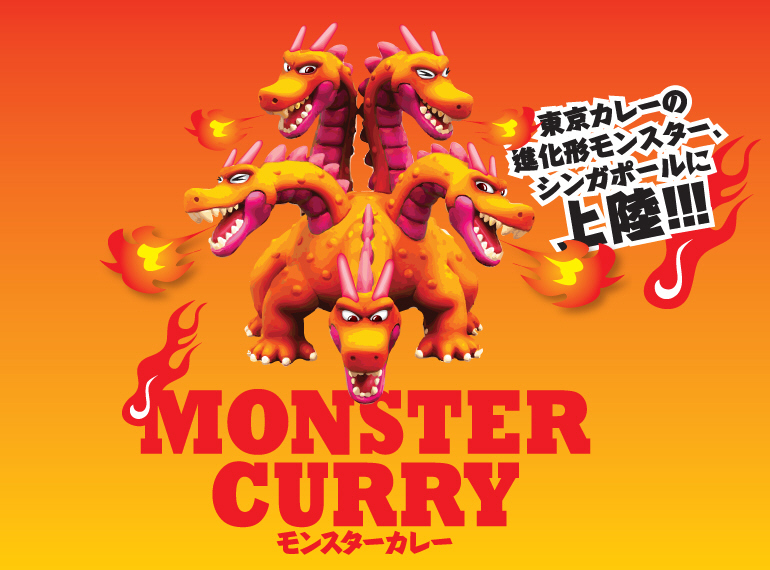 Regardless the reason, the truth is, the curry with the gorilla mascot is no more and in it’s replacement we have Monster Curry, located at the same 3 places Go Go Curry once stood. Of course, it is not as authentic a Kanazawa curry as it’s predecessor, it now offers you 5 level of spiciness in the form of 1 – 5 splotches depending on your preference and more variety of dishes are available. 3 Responses to Go! Go! Curry! I remember that Tokyo Hunter wanted to bring me to Go! Go! Curry! when he took me around Akihabara in 2010, but the queue was too long so we went for something else with shorter queue (we went for Pepper Lunch instead). 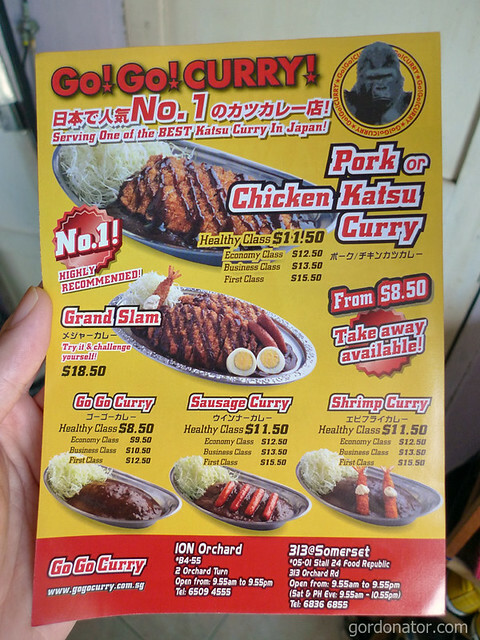 Thanks for posting this map with the Akiba Go Go Curry locations. I will be in Tokyo next month and I really want to give it a try. Enjoy yourself. 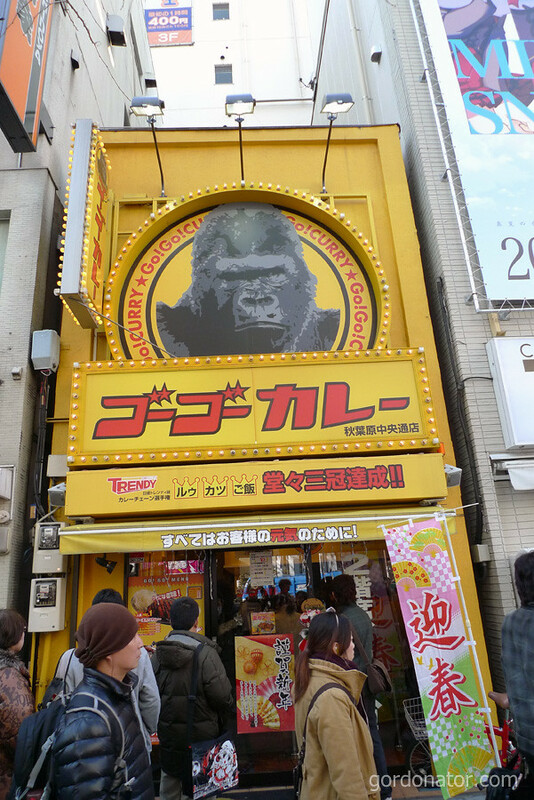 Last year when I was in Tokyo there’s another new branch that opens further down the main street.